Free drop-in discussion groups for LGBT older adults in Sonoma County where participants share information, have lively discussions and build community. A class that explores LGBT aging issues and optimal aging strategies with opportunities to discover resources and build supportive connections. The Billys is a community of hundreds of open-hearted gay, bi and queer men who join together in Gatherings six times a year in extraordinary rural venues throughout Northern California. Each gathering is a work of art, carefully crafted by Billys to take us to places of joy and playfulness, intimacy and openness. We come together to play games, hike, make yummy food, play music, cuddle, meditate, frolic, do yoga, and learn from each other. 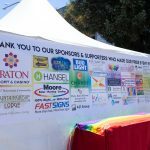 The Spahr Center provides services, support, and empowerment for Marin’s LGBTQ community. LGBTQ Youth services include youth drop-in groups, a support group for parents with gender questioning and transitioning children, outreach to schools, and counseling for students and families. Mental health counseling is available for LGBTQ people of all ages. Services for LGBT seniors include a monthly discussion group, quarterly friendship luncheons, and a monthly mixer. Also cultural competency training for education, health, social service, and housing providers. Website, chat & text crisis support, specializing in LGBTQ youth suicide prevention. Trans Lifeline is a grassroots hotline and microgrants organization offering direct emotional and financial support to trans people in crisis – for the trans community, by the trans community. Trans Lifeline was founded in 2014 as a peer-support crisis hotline. The Hotline was, and still is, the only service in the country in which all operators are transgender. Because of the particularly vulnerable relationship transgender people have with police, it is also the only service in the country with a policy against non-consensual active rescue. Since our founding, Trans Lifeline’s services have grown to match growing need from our community. Our Hotline has evolved from an entirely volunteer-run operation into a comprehensive resource that employs trans people working as paid operators and team leads. Our operators have logged thousands of hours of talk time with trans people in our community, and, with new volunteers signing up all the time, our capacity is only growing. In time, we came to recognize that the epidemic of suicide in the trans community is inextricably tied to the economic justice issues trans people face at alarming rates, and that meaningful emotional support often requires financial support as well. In 2017, Trans Lifeline merged with the Trans Assistance Project, which became our Microgrants program. Microgrants offers low-barrier grants to trans people for legal name changes and updated government identification documents, as well as specialized support for incarcerated and undocumented trans people. While this is a relatively new program, we recently celebrated the disbursal of $100,000 in small grants to trans people – all with a commitment to resist gatekeeping and respectability politics. Trans Lifeline is committed to being a resource that the trans community can continue to rely on for years to come. With your support, we can keep these vital services available to those in our community who need them most. Free male to female support group, for those 18 and older.